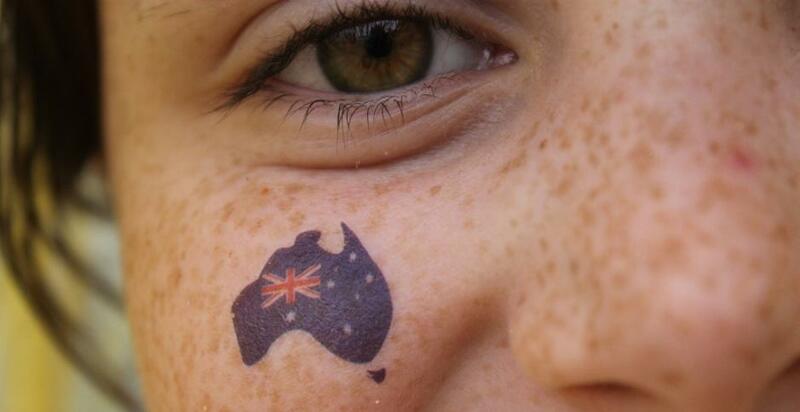 Pciture by A J Guesdon, Australia Day, 2014. 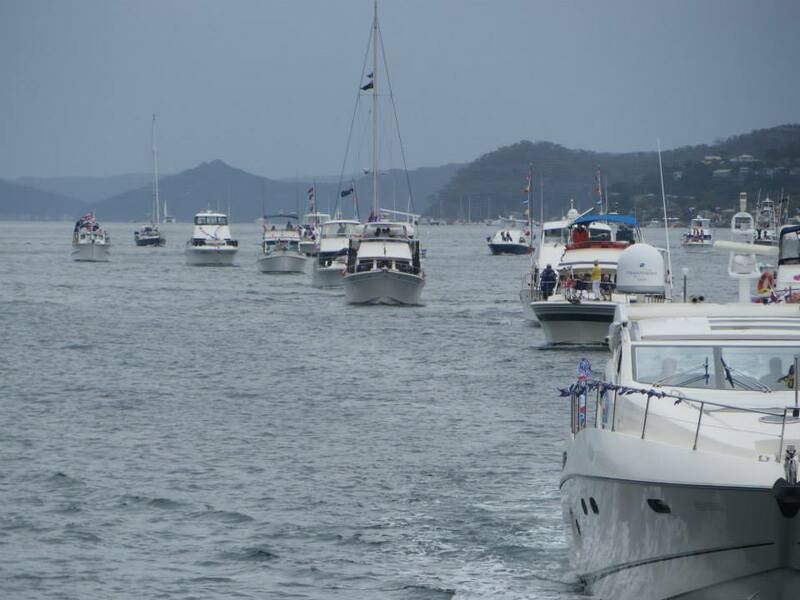 Australia Day in Pittwater this year had events and activities at all compass points. 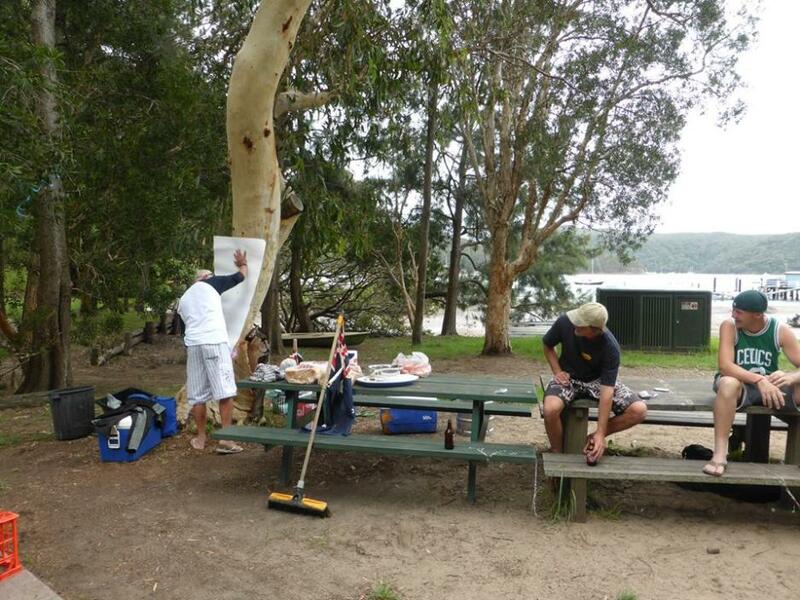 A cricket match on Scotland Island is a tradition, the Dress-up themed day and Boat Parade of the RMYC – Broken Bay, and also a great day boating on Sydney Harbour’s Australia Day Regatta which attracts Pittwater people as well as thousands from the rest of Sydney, the Avalon Sailing Club offering an extension of this that in itself goes back 76 years. Citizenship Ceremonies and family fun at Bert Payne Park in Newport organised by Council with local clubs Zonta and Rotary organising a scrumptious breakfast, the Ocean Swim from Palm Beach to Whale Beach this year running on Australia Day and attracting swimmers and their families from every Sydney swim club and even very fit and fast marathoners from Orange brought thousands of visitors, in fact, in every direction you looked there were old friends meeting up with again and wonderful sights for the eyes – lots for all to see. Seeing what you’re looking at is not only our way of celebrating each other, it is also the best way to chart a record of what we were all getting up to since none of us could be in all places at once. Whether you were out in a quiet bay enjoying the beautiful salt breezes and a dip in the briny, or a longer swim in aforementioned dominion of all finned creatures, at a surf carnival at Freshwater – where local surf life saving members did us all proud, out cruising on the estuary as part of a wonderful boat parade, knocking them for six in Elizabeth Park, or among the crowds that prove just how big and happy our family can be – on Australia Day this year Pittwater people can truly state ‘a grand time was had by all’. Those Pittwater people whose long and tireless services to all were recognised this Australia Day are listed as part of the record – and the feast for the eyes comes courtesy of many of us, as always, once again. 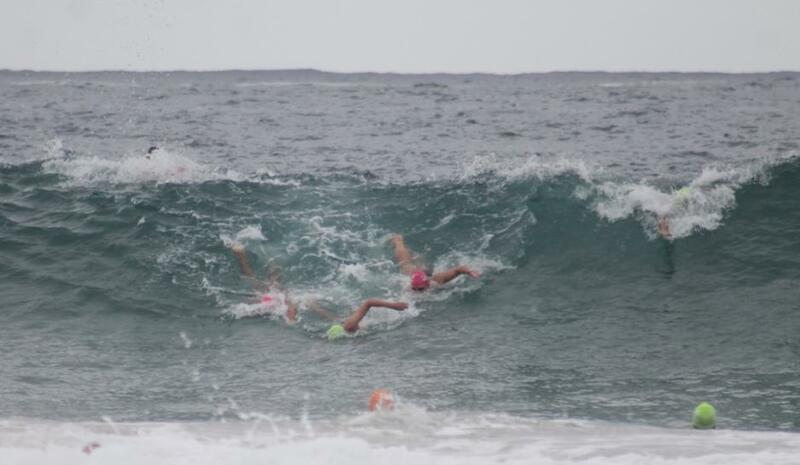 The BIG SWIM 2014 report and pictorial is here and includes a chat with Paul Hughes, winner of the first race, Paul Young, who was busy helping a few others get back to shore in the original race and Peter Taylor - all Whale Beach SLSC stalwarts, all life savers. L to R: Genevieve, Elizabeth, Bernadette and Therese Kelly,sat home in Pittwater before heading to Sydney Harbour, courtesy Joanne Seve. 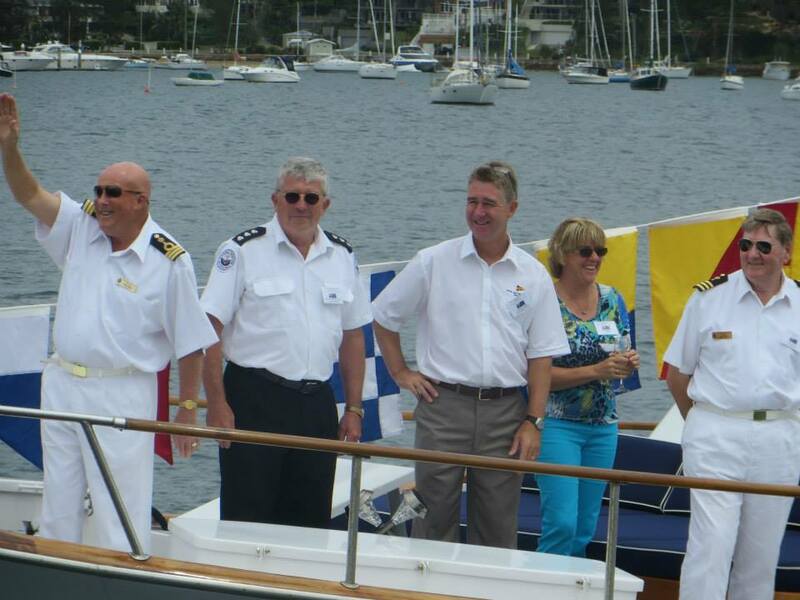 Australia Day 2014 - Pittwater Honour Recipients - Ten! For distinguished service to medicine through specialised tertiary curriculum development, as a researcher and advocate for reform and human rights in the field of pain, and as an author and mentor. Professor and Foundation Chair of Anaesthesia and Pain Management, Northern Clinical School - Royal North Shore Hospital, University of Sydney, since 1990; Founding Head, Discipline of Pain Medicine, since 2011; developed a Diploma and Masters course in Pain Management; fostered the development of the Sydney Clinical Skills and Simulation Centre. Founding Director, Pain Management Research Institute, Kolling Institute of Medical Research, since 1990. Played a key role in the recognition by the Australian Government of Pain Medicine as an independent medical specialty in 2005. Professor Cousins has led the development of Pain Medicine as a discipline in Australia and internationally. He has produced over 300 peer-reviewed publications, 4 books, many reviews and book chapters. Honorary Member, International Association for the Study of Pain, since 1999; President, 1987-1990; Councillor, for many years; Founder, Task Force on Pain Curricula; Chair, 1st International Pain Summit, Montreal, 2010. Founding Director, Painaustralia, since 2011; to facilitate implementation of the National Pain Strategy; Chair, National Pain Summit, 2010. Chair, Executive Committee, Australian National Pain Strategy, 2008-2010; has been adopted as a guide for National Pain Strategies in the USA, Canada, UK and other European countries. Current Member, Expert Advisory Taskforce, NSW Pain Management Plan, NSW Minister for Health. President, Australian and New Zealand College of Anaesthetists (ANZCA), 2004-2006; Vice-President, 2003-2004; Councillor, 1995-2006. Founding Chair, ANZCA Foundation, 2007-2011. Founding Dean, Faculty of Pain Medicine, 1999-2002; Chair, Interdisciplinary Committee on Pain Medicine, 1996-1999; achieved recognition of Pain Medicine as a medical specialty by the Australian Government, 2005. Fellow, Chapter of Palliative Medicine, Royal Australian College of Physicians (RACS), since 2005; Chairman, FRACS Primary Examination Committee, 1979-1985. Councillor, Australian Medical Council, 2006-2009. Chair, Committee of Presidents of Medical Colleges, 2005-2007. Councillor, National Health and Medical Research Council, 1998-2000; Chair, Working Party, Australia's first evidence-based medicine guideline on the Management of Acute Pain, 1995-1999. Past President, Australian University Clinical Professors Association. Honorary Fellow, Faculty of Pain Medicine, Ireland, 2013. Honorary Member, Pain Society of Great Britain and Ireland, since 1999. Awards/recognition include: Appointed as a Member of the Order of Australia in The Queen’s Birthday 1995 Honours List for his service to medicine, particularly in the fields of pain management and anaesthesia. Doctor of Science (Honoris Causa), McMaster University, Ontario, Canada, 2012. Orton Medal, Australian and New Zealand College of Anaesthetists; College’s highest award. ‘Michael Cousins Lecture’ named in his honour, Australian and New Zealand College of Anaesthetists. Inaugural recipient, ‘Lifetime Achievement Award’, Australasian Chapter, International Neuromodulation Society. ‘Book of the Year’, British Medical Journal, 2012; awarded in the Neurology Section for his book Fast Facts, Chronic and Cancer Pain. Award of $5 million to develop unique ‘Closed Loop’ spinal methodology for nerve injury pain, NSW Government’s Medical Devices Program, 2013. Bilgola SLSC Patron John Brogden's commitment to mental health has earned him a Member of the Order of Australia (AM) in the Australia Day honours list for service to social welfare, particularly to Lifeline, which he chairs. His honour also recognises his service to the business and financial sectors - he was chief executive of Manchester Unity for two years and now runs the Financial Services Council and to the NSW Parliament. John is a regular on the Nipper BBQ with Rachel Brown and David Madew, his three children are active nippers and Lucy Brogden both a Nipper Age manager and lifesaver. For significant service to the community through representational roles with social welfare organisations, particularly Lifeline, to the business and financial sectors, and to the Parliament of New South Wales. Chairman, Lifeline Australia, since 2012; Director, since 2009; Patron, 2010-2012. Patron, Sailability Pittwater. Patron, Bilgola Surf Lifesaving Club. Chairman, Furlough House Retirement Village. Director, Sydney Ports Corporation, 2010-2012. Chairman, UrbanGrowth NSW, since 2012. Chairman, Abacus Australia Mutuals Pty Ltd, 2006-2009. Chief Executive Officer, Manchester Unity Australia Ltd, 2006-2008. Chief Executive Officer, Financial Services Council, since 2009. Service to the Parliament of New South Wales includes: Member for Pittwater, 1996-2005. Leader of the Opposition, 2002-2005. Shadow Minister for Infrastructure Planning and Major Projects, 2005; Shadow Minister for Ethnic Affairs, 2002-2005; Shadow Treasurer, 2003-2005; and Shadow Minister for Reform of Government, 2002-2003. For significant service to Australian literature, particularly as an author, through contributions to Indigenous youth, and to the community. Author, Whoring Around, 1981. Author, Evil Angels, 1985. Author, Backstage At The Revolution, and Twelve Other Reports, 1988. Author, To the Death, Amic, 1994. Script Consultant, Evil Angels (A Cry in the Dark), directed by Fred Schepisi, 1988. Originator, Writer and Assistant Producer, Secrets of the Jury Room, SBS TV, 2004. Deputy Chair, Literature Board, Australia Council, in the late 1970s; Literature Board Member, 1973-1986; Member, Prime Minister's Advisory Panel, Artists Creative Fellowships, 1993-1994. Committee Member, Victorian Premier's Literary Awards, 1989-1992. Member, Board of Directors, Australian Society of Authors, until 1991. Writer in Residence, University of Tasmania, 1987. Member, Judges Panel, National Book Council, 1986. Chair, Federal Short Story Competition for Children, 1983. Chair, The Age Book Award, 1982. Board Member, Commonwealth Scholarships for Aboriginal Students, Melbourne University, 1990-1992; Committee Member, Truganini Scholarships for Aboriginal Students, 1992-1998. Participated in establishment of Aboriginal Legal Aid Service, Fitzroy, in the 1970s. Honorary Secretary, Australian Performing Group, in the 1970s. Board Member, 3RRR Melbourne, in the 1970s. Barrister, from the 1960s to the early 1970s. Advocate for the full acquittal of Lindy Chamberlain-Creighton and Michael Chamberlain, 1980-2012. For service to the motor vehicle industry as a designer and retailer. Founder and Proprietor of Bill Buckle Autos, 1961; current Dealer Principal, The Bill Buckle Group. Involved in many sectors of the motor vehicle industry including sales, design, and research and development, especially in the use of composite materials and fibreglass in the construction of vehicles. Designed and built the fibreglass bodied Buckle Coupé in 1955 (only 24 produced). Manufactured/ assembled other fibreglass bodied vehicles from imported mechanical parts, including the Goggomobil Dart which was also designed by Mr Buckle. Sponsor of many organisations including the Variety Club of Australia. Awards/recognition include: Australian Design Award for the ‘Autosun Sportsroof’, 1977. For service to the community of the North Shore. Member, Australian Women of the Year Association, since 1976. Committee Member, Australian Women's Land Army Association; Member, Land Army, 1945. Supporter, Look Good Feel Better; Mrs Cherry organises the collection of scarves from Women of the Year members, community groups and individuals to donate to Look Good Feel Better (Cancer Patients Association). Supporter, Kaddy Transport, Uniting Care, Uniting Church, Dee Why, from 1982. Supporter, Cerebral Palsy and the Special Centre ‘Miss Australia’ Quest, 1973. Community representative, friendship group exchange tour to Carmel, California USA, 1973. Established, Avalon Beach A1 Company, Girl Guides; assisted in the building of the Guide Hall opened in 1967. Retired Justice of the Peace. Branch Delegate, New South Wales Nurses and Midwives' Association, 1990-1992; Registered Nurse, 1945-1994. Former President, Royal North Shore Hospital Post-Graduate Nurses Association; Foundation Member; Life Member. Early Childhood Specialist. For service to sport as a gold medallist at the London 2012 Paralympic Games. Gold Medallist and Paralympics Champion, Sailing, London 2012 Paralympics Games. Silver Medallist, Beijing 2008 Paralympics Games, 2008. Gold Medallist, International Sailing Federation (ISAF) World Cup, 2011. Gold Medallist, Disabled Sailing World Championships, 2004. Gold Medallist, SKUD International Championships, 2007 and 2012. Founder and Patron, Integrated Disabled Sailing program, Royal Prince Alfred Yacht Club; ongoing. Member, Australian Paralympic Team of the Year, 2012. Australian Sailor of the Year with a disability, on 5 occasions. Ambassador, Australia Day Festival, Warringah City Council, 2013. For service to the community as an advocate for animal rights. Supporter, Royal Society for the Prevention of Cruelty to Animals (RSPCA) New South Wales, for over 70 years, Life Member. Supporter of Kangaroo Protection, People Against Animal Transport, Australian Association of Humane Research, Animal Liberation NSW, Animal Welfare Institute in Washington DC USA, and the Total Environment Centre. Member, Animals Australia, for many years; Life Member. Life Member, Australian Native Dog Conservation Society. Life Member, Australian Dingo Conservation Association. Life Member, Australian Conservation Foundation. Life Member, Animal Welfare League. Foundation Member, World League Protection of Animals, 1935; Secretary, for many years. Carer of Therapy Pets at the Connie Fall Hostel where Mrs Ford was a resident. Mrs Ford died on 13 June 2013. For service to the community of Scotland Island. President, Scotland Island Residents Association, 1992-1996 and 2007-2002; Vice-President, since 2012; Committee Member, 1995-2007. Member, Scotland Island Rural Fire Brigade, for many years. General Manager, Recovery Services, Schizophrenia Fellowship of New South Wales, since 2006. Director, Pioneer Club House, 2003-2006. President, Ostara Board, 2009-2011; Board Member, since 2005. Current Member, Steering Committee, Mental Health Sports Network. Chief Executive Officer, Options Community Enterprise, 1990-2003. For service to business and commerce as a designer and manufacturer. Designer across several industries for over 50 years. Founder, Coordinated Design and Supply Pty Ltd (now CoDesign), 1961-1986. Currently consulting to the Sydney Opera House on refurbishment of the various Auditorium Seating originally manufactured and installed by Coordinated Design and Supply Pty Ltd in 1971. Created/established Elsafe Australia, 1989. Co-Founder, Pivot Electronics, and Co-Designer of electronic safety protection devices for railway signalling systems. Held a seat on various Australian and international Safety Standards committees. For service to sport as a gold medallist at the London 2012 Olympic Games. Gold Medallist and Olympic Champion, Canoe/Kayak Sprint Kayak Four (K4) 1000m, London 2012 Olympic Games. Bronze Medallist, K4 1000m, World Championships, Duisberg, Germany, 2013. Silver Medallist, K4 1000m, World Championships, Szeged, Hungary, 2011. 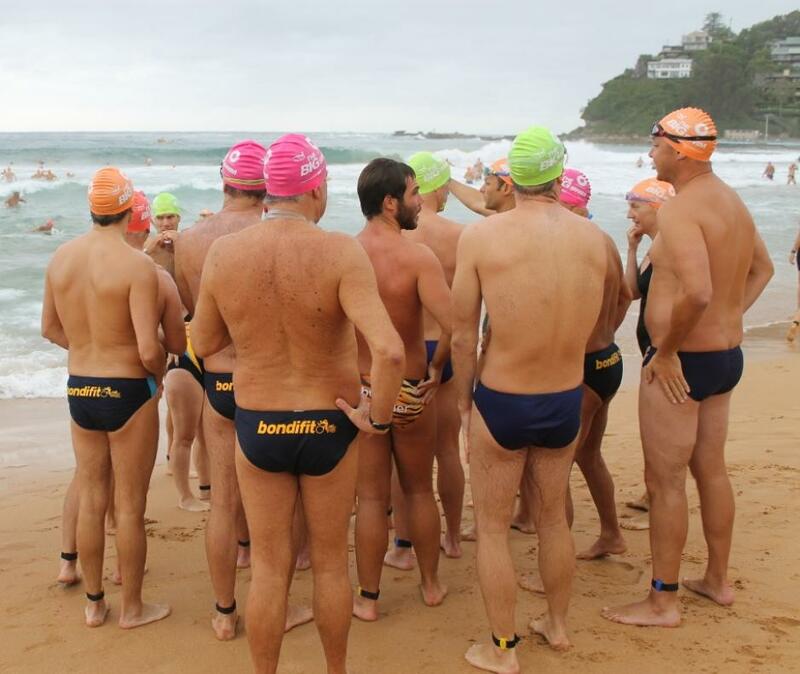 Member, Manly Surf Life Saving Club, for 13 years; and Northcliffe Surf Life Saving Club, since 2012. Representative, Manly Warringah Kayak Club. A great family day and gathering again this year. 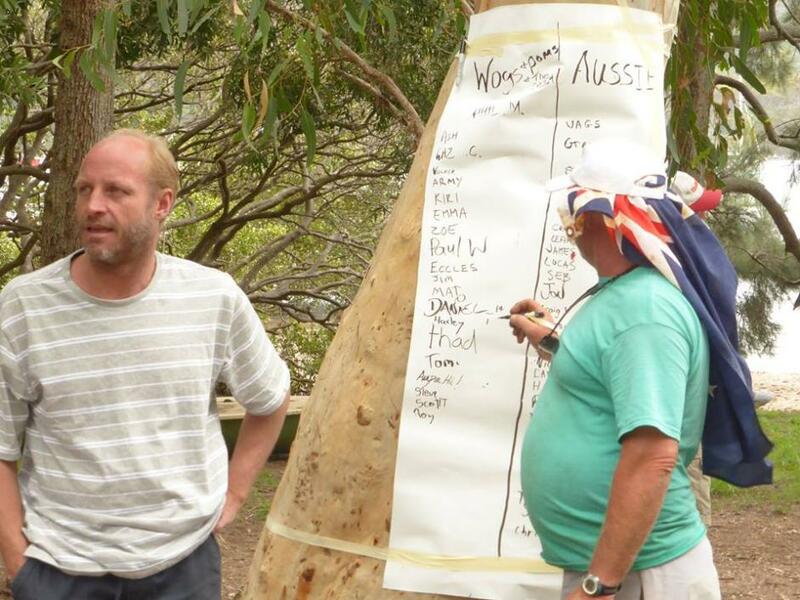 The Australia Day Cricket Match was the 'Wogs; Poms and the rest vs. Aussie. We, the Wogs; Poms and the rest lost the Game... again! 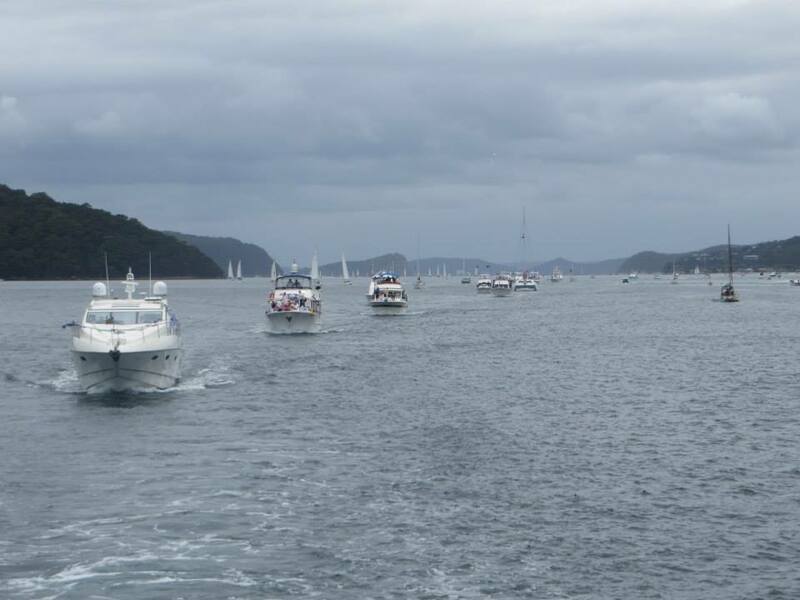 Over 60 boats of all shapes and sizes attended the RMYC - Broken Bay Australia Day Boating Parade on Pittwater on Sunday 26 January 2014. Preceded by a Brunch and culminating on prizes awarded for the best Dress Up costumes by members with an Australia Day and Boating theme, a wonderful day was had by members and their guests. Commodore Peter Haig of RMYC Salutes the fleet from the Silver Ghost. 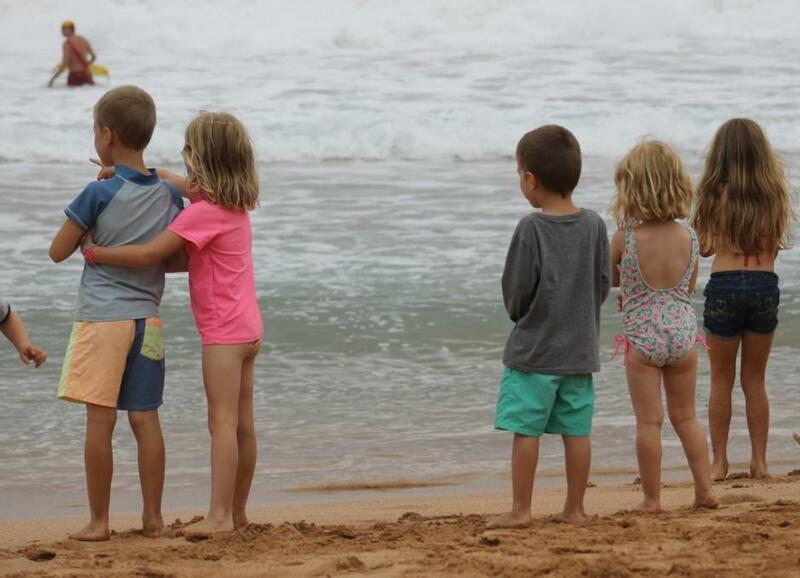 Pittwater Council's annual Breakfast on the Beach at Newport's Bert Payne Reserve next to the surf club was fun for the whole family again this year. There were rides for children, street performers, music and a delicious cooked breakfast on offer. 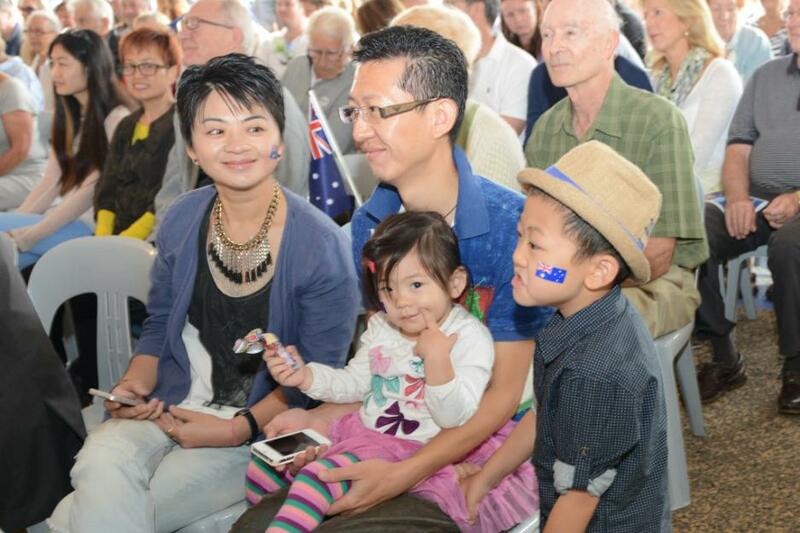 Pittwater's newest citizens took their pledge of loyalty to Australia at the 8am citizenship ceremony. The NSW Australia Day Council announced media personality and TV presenter Tracey Spicer as this year’s Australia Day Ambassador for Pittwater. Tracey currently works as a broadcaster on 2UE, is a News Ltd columnist, Sky News anchor and travel writer for Holidays with Kids Magazine. Her passion for her children and children less fortunate around the world has made her an outstanding Ambassador for World Vision, ActionAid, WWF, The Royal Hospital for Women’s Newborn Care Centre and the Penguin Foundation. Tracey is also a Patron of Cancer Council NSW and the National Premmie Foundation and the face of the Garvan Institute’s research into pancreatic cancer, which killed her beloved mother Marcia 11 years ago. Mayor of Pittwater Cr. Jacqueline Townsend, Hon. 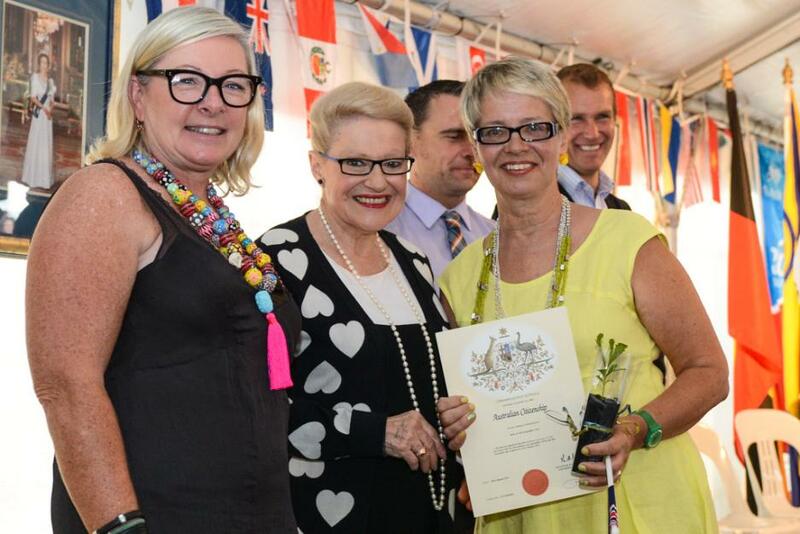 Bronwyn Bishop, Elise Springett. Fei Fei Zxa, Tony Chi, Michael Chi, Miranda Chi waiting for their Citizenship. 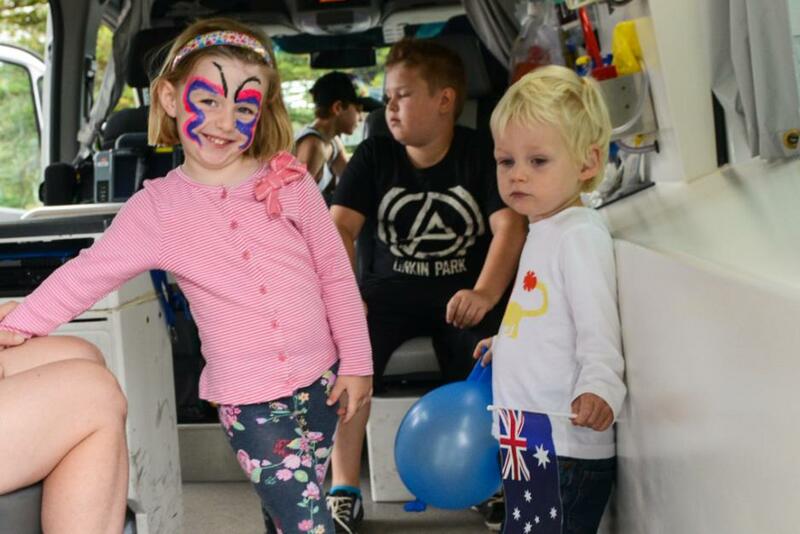 Jasmine and Sammy Evans from Mona Vale inside the ambulance display. Shelly, Zoe, Josie, Charlie Moore. 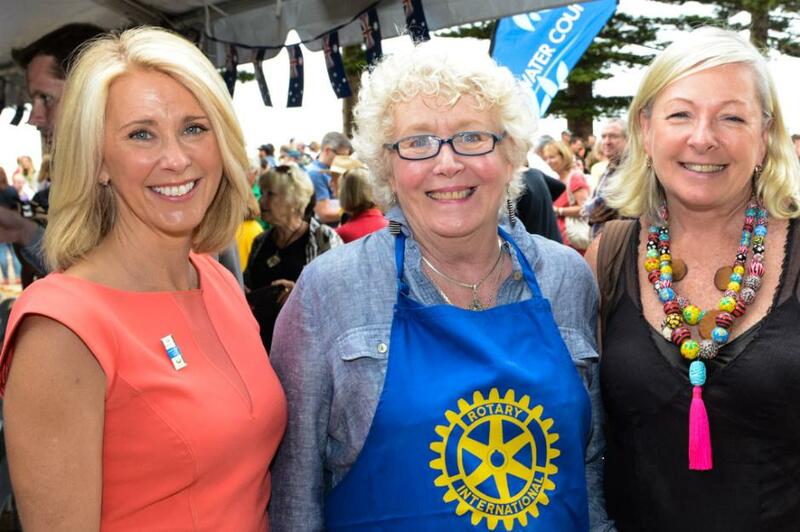 Australia Day Ambassador Tracey Spicer, Toni Francis - Rotary Club of Pittwater, Mayor of Pittwater, Cr. Jacqueline Townsend. The 178th Australia Day Regatta, the world’s oldest continuously conducted annual sailing regatta, took place throughout the afternoon on Sydney Harbour. 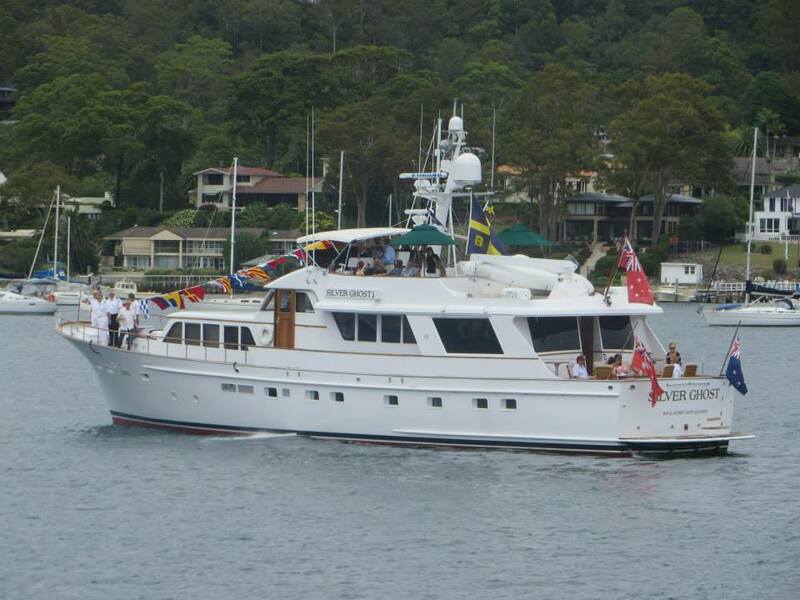 Traditional and classic yachts from around the nation, some up to a century old, were invited by the Royal Sydney Yacht Squadron, on behalf of the Australia Day Regatta Inc., to take part in this historic event. In addition to the main harbour regatta, a large fleet of ocean racing yachts raced to Botany Bay and return for the Cruising Yacht Club of Australia’s City of Sydney Sesquicentenary Trophy. A Tall Ships Race, the Red Berets Australian Army Parachute Display, the new Gun Salute to Australia and Tug and Yacht Ballet as well as the Ferrython kept all on and beside the water enthrralled from early morning until evening. Fastest time was Kasmir Boskovic 19yrs from Rockdale in 34.16, first lady to finish was Alicia Caldwell, 18yrs, Seaforth in 38.57. 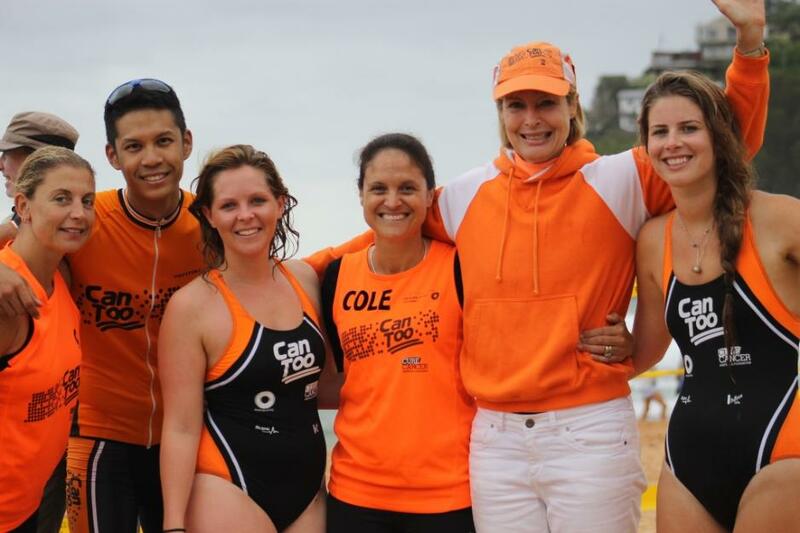 The Dash-for-cash post swim fun was held in challenging 2 metre surf with big breaking waves. 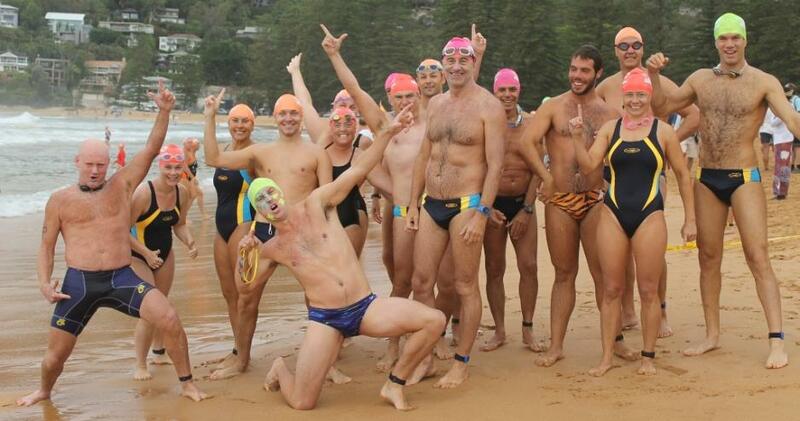 Pittwater MP Rob Stokes changed into borrowed budgie smugglers and courageously swam. 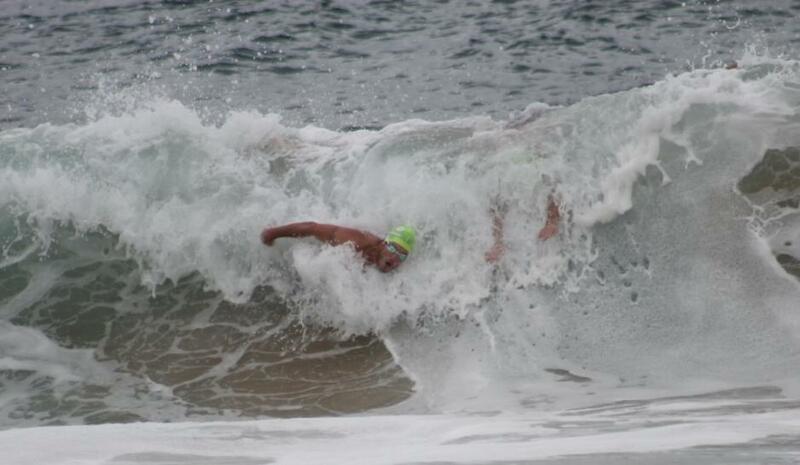 Also taking on the challenge, Alex McTaggert, Councillor Pittwater Council and also a North Palm beach SLSC member who swam in the second ever BIG SWIM and has swum in every one since except the cancelled 2005 one and the 1978 where a skiing accident prevented him swimming. These two gentlemen nominated the Mona Vale Hospital Auxiliary as the recipient of their prize should they triumph. The winner was Kasmir Boskovic however, a young man who is definitely in the flying fish category of swimmers. Scotland Island lady Alison Trapnell also did very well in the 45-49 years group. 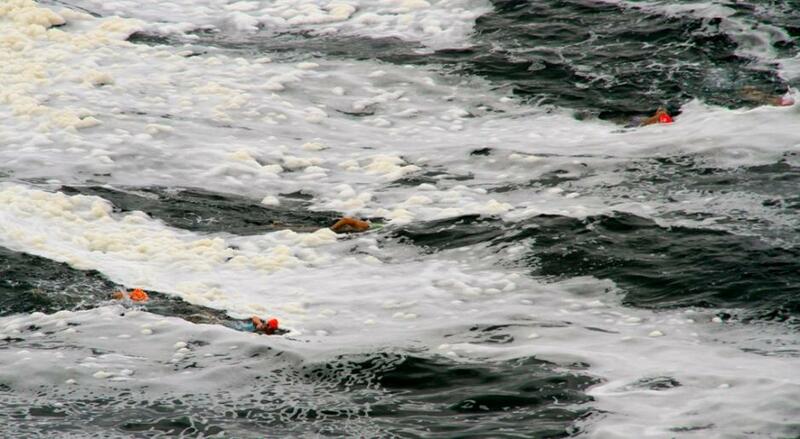 Alison has competed in many swims and this was her sixth or seventh BIG SWIM. Alison told us during the week “I love that swim.” and asked us to remind people that these swims are to raise funds for our volunteer Surf Life Saving Clubs who work really hard to make the Ocean Swims a success.